Q: Why should ordinary citizens know about war? 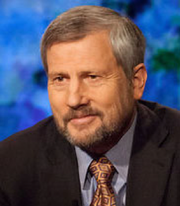 Karl Marlantes: Because ordinary citizens are much more involved with war than they usually appreciate. People in every country participate indirectly in wars, whether it’s by losing loved ones, supporting their government through paying taxes, or just paying for their gasoline, the price of which is greatly influenced by our fighting in the Middle East. In a Republic like ours, all citizens have the added responsibility of voting for the people who may decide to take the country to war—and if they don’t vote, that has an impact too. Either way, they have a share of the responsibility. But civilians rarely recognize the role they play in war. We say it is the soldier who does the killing, but that burdens our young soldiers with all the responsibility. Combat soldiers are only the tip of a very long spear. Q: Is war always going to be with us? KM: Yes, but the way it will be with us will change. We’ve moved from wars between tribes over hunting grounds, to sophisticated wars between nations involving mass armies, to today’s wars using drones and robots. But whether you are fighting today or thousands of years ago, with spears or modern weapons, the experience of war is universal. It’s a basic part of being human. Q: Why do you think there have been so many wars in human history? KM: War is not an aberration. It is an ongoing human activity closely intertwined with human aggression. Our aggression is inherent—it will always be with us, and it has some positive uses and outcomes. In earlier human societies it protected communities from predators and helped us hunt dangerous animals for food. It continues to provide the security that fosters rule of law, which in turn fosters health, wealth creation, and promotes the growth and longevity of our species. However, aggression can also be used for unfair dominance of one group or nation state over another or to put and keep tyrants in power. In such cases we need our own aggression to stop being bullied and enslaved. The more conscious we are of these positive and negative aspects of aggressiveness, the more we own it, the more we talk about it, the less likely we’ll be drawn into wars that are self-destructive and harmful. On the other hand, the less likely we’ll be to sit by passively when we should have been fighting. Q: So, not all wars are bad? KM: All wars are costly and immensely sad—but going to war sometimes needs to be done. The problem is choosing when to fight, knowing what that cost will be. When we are in the throes of our primal instincts or depend on the emotionalism of war-related platitudes, clear thinking about cost and probable outcomes is absent. Television viewers can thrill as they watch our attack aircraft shoot off carrier decks and Abrams tanks racing across deserts. Citizens can be stirred by simple symbolic phrases such as “defending freedom and democracy,” or “overthrowing ruthless dictatorships.” Being sucked in by such imagery and rhetoric can get us into stupid wars. Being ignorant about war forfeits our responsibilities as citizens, allowing others to make the decisions about going to and funding war. Forfeiting this responsibility is a major step toward forfeiting our freedom. It also alienates and places an unbearable burden on the mostly young men and women who do our actual fighting. KM: As a nation, we have a profound dichotomy in our understanding and appreciation of our warriors. Many adulate warriors, just as the Romans adulated their gladiators. Simultaneously, many denigrate warriors as killers. If warriors are doing what we ask of them and it is what needs to be done to preserve government of, by, and for the people, warriors need to neither be adulated nor vilified; they need to be understood and genuinely thanked. Q: What is it about the experience of combat that makes it difficult for soldiers to return home? KM: Soldiers are young men and women, just like the teenagers next door. They will protect their comrades, put themselves at risk from IED explosions, go without food and sleep for days, and charge the hill when ordered. They do this primarily to protect their fellow soldiers in a very close community. When they return to civililan life, this sense of purpose, this feeling of “counting,” is missing. They have also done things which they worry uninformed civilians will condemn them for. In addition, they’ve done things which have profoundly tested their own sense of morality, no matter how much the actions are justified rationally. It is up to the adults not to misuse our young warriors by placing them in situations that test moral norms and require maturity beyond their years, which in turn increases their sense of isolation and alienation when they return home. This alienation is increased greatly when the community they are trying to return to has barely any understanding of war and what we ask our young soldiers to do. Our failure to assume full responsiblitry for the republic being at war, places all the responsibility for killing on our young soldiers and creates a burden that is often too heavy to bear. Around 24 veterans a day commit suicide. The sorrow and waste of human lives is enormous. This alienation is not only destructive for those who have willingly sacrificed for our republic, it endangers the republic itself. Produced by Michael Epstein, GOING TO WAR is a production of Twin Cities PBS in association with Vulcan Productions, and PBS. Major funding is provided by the Corporation for Public Broadcasting. Additional support provided by The Weber Family and Mr. and Mrs. Frederick W. Smith.